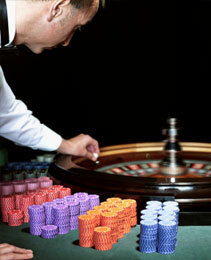 Roulette is supposed to be one of the most popular gambling games. It goes without saying that the main part of roulette is wheel, which contains pockets numbered from 1 to 36. These pockets can be red or black. The only exception is a pocket with a zero on it, which is green. The goal of the game is to guess, where the ball will land. Read more in order to understand how to play roulette game in casinos; moreover, special roulette tips exist which help to improve your chances for winning. Before playing roulette, the players should place a bet. To do this, they put special chips on defined pocket on the table with their favorite number and color. Actually, a player can put either inside or outside bets. Inside bets are supposed to be more risky, because a player tries to guess the exact number. That's why payouts for the win are the highest, while putting a Straight-up bet. Street bet and split bet are inside bets as well. While putting a split bet, a player tries to define a line between 2 figures, where the ball will fall. 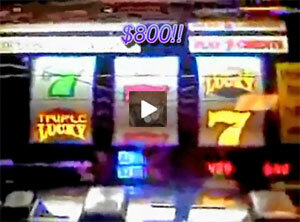 Street bet is a kind of bet, when a player tries to guess three number combination. As far as outside bets are concerned, they are column bet, dozen bet and even money bet. A column bet is a bet on one of the three columns. Virtually, while putting a dozen bet, a player tries to guess one of three groups of 12 numbers, where the ball will land. Moreover, when putting even money bet, a player predicts color (whether black or red), number (odd or even; 1-18 or 19-36). To increase your possibility to win, one should play European roulette rather than American, as house edge of it is lower. Use the Surrender rule to save a half of your bet. Apply the En Prison rule to get an extra chance for your bet to win. Learn the odds before playing the game.